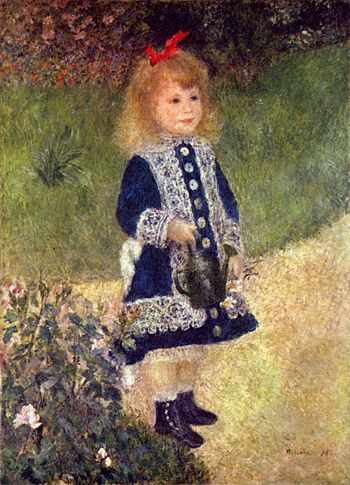 Pierre-Auguste Renoir was born on this day in Limoges, Haute-Vienne, France in 1841. Today is the 173rd anniversary of his birth. 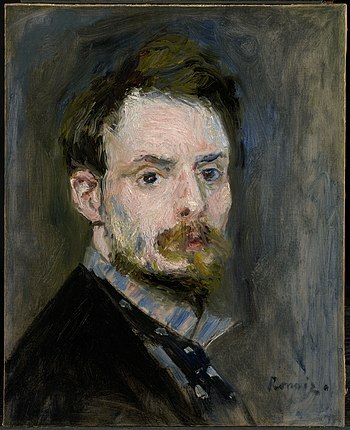 At 21 he began to study art at the Ecole des Beaux-Arts where he met Frédéric Bazille, Claude Monet, Alfred Sisley, Camille Pissarro and Paul Cézanne. He was invited to exhibit at the 1864 Paris Salon, but he continued to struggle financially, sometimes he didn’t even have enough money to buy paint. His success allowed him to travel internationally. 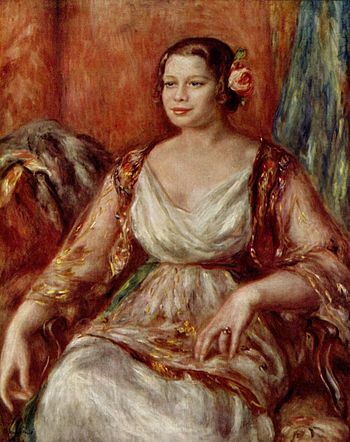 Renoir went to Algeria, Madrid, and Italy. He met opera composer Richard Wagner in Palemrmo, Sicily and rather famously painted his portrait in 35 minutes. In 1883 he went to Guernsey for the summer. In 1890 he married his longtime lover and muse Aline Charigot. 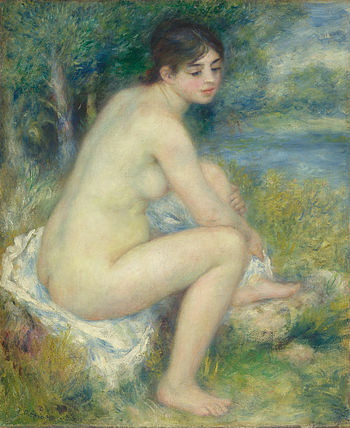 They moved to a farm at Cagnes-sur-Mer near the Mediterranean to help alleviate the effects of Renoir’s rheumatoid arthritis. The condition left him wheelhair-bound, his joints were so swollen he couldn’t hold a brush and his limbs were misshapen. 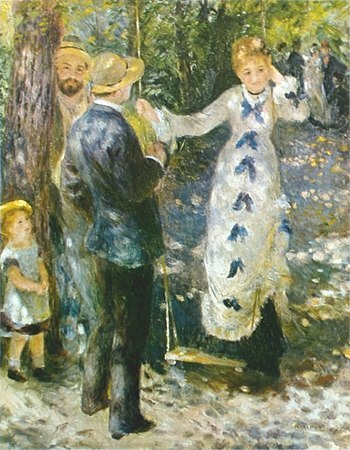 “In the advanced stages of his arthritis, he painted by having a brush strapped to his paralyzed fingers.” [Pierre Auguste Renoir.org] He died at the age of 78 on December 3, 1919. 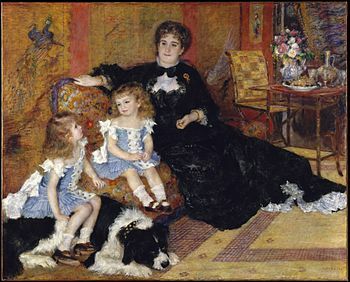 This entry was posted on Wednesday, February 26th, 2014 at 1:02 am	and tagged with Alfred Sisley, Camille Pissarro, Claude Monet, Frédéric Bazille, Paul Cézanne, Pierre-Auguste Renoir and posted in Art, postaday, Thought of the Day, Today's Birthday. You can follow any responses to this entry through the RSS 2.0 feed.